If you like adventure, get ready for a thought-provoking journey that is physically demanding but mentally purifying. To acclimatize you will first decide whether visiting the striking Karajia sarcophagi or the huge Gocta waterfalls. 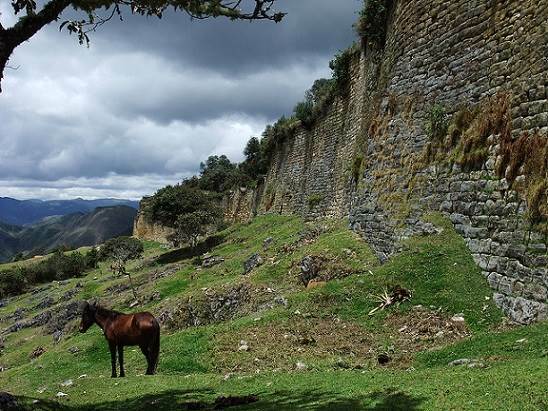 Next day you will explore the impressive fortress of Kuelap. 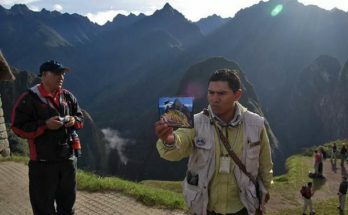 Finally you will visit Lake of the Condors which is not just a natural masterpiece, but also represents a sacred place for one of the most mysterious and impressive cultures of ancient Perú. In front of the lake, an almost vertical hillside was chosen by the Chachapoyas to preserve their dead officials. Six mausoleums rise under a natural water cloak decorated with cave paintings and red walls. Here less than a decade ago, more than 150 burial mounds were found. These archaeological sites were located strategically in this inaccessible place to ensure the eternal rest of the top leaders. Highest altitude: 4,000 m.a.s.l./13,120 ft.
We will meet you at your hotel in Lima and drive to the airport to take your flight to the city of Chiclayo. Once in Chiclayo we will drive along the Panamerican Highway for 30minutes to Tucume. Tucume is an extensive site of adobe (mud brick) pyramids built by the Lambayeque Culture. 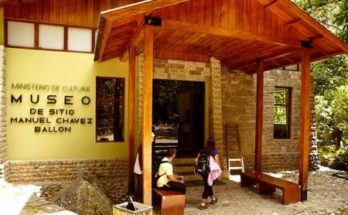 Then we will drive to Ferrenafe a town surrounded by irrigated sugar cane fields and home of the Sican Museum. The museum houses many gold and ceramic artifacts found at the adobe pyramids of Batan Grande. Return to Chiclayo to eat lunch and visit the witches market. Later you will visit Lambayeque and the Royal Tombs museum, now home for thousands of precious gold, silver and copper artifacts recovered from tombs at Sipan. In the afternoon you will take a night bus to Chachapoyas (dinner served aboard). Today you can decide whether to visit the striking and impressive Karajia sarcophagi or the Gocta Waterfalls which are the third largest waterfall on earth. The funerary site of Karajia is unique in the world as a burial system located in a large cliff with difficult access. These striking sarcophagi, sculptured like humans have become an icon of the area. For 750 years they have looked towards the rising sun and undoubtedly are the resting place for some elite members of Chachapoya warriors. On the other hand you can decide to go on an adventure trek to the third highest waterfall in the world. Along this short trekking route you will be able to see cane fields, the typicall sugar mill and admire the flora and fauna of this area. Overnight in Chachapoyas. We will drive early in the morning to the mysterious Kuelap fortress, the largest ancient stone structure in South America. Kuelap will surprise you with its stunning architecture and its circular rooms. Our guide will explain you about the Chachapoyas culture and myths about this fortress located on top of a mountain over 3,000 m.a.s.l. Later we return to our private transport and drive further south to the village of Leymebamba, where we spend the night at Hostal La Casona. Leymebamba marks the setting- off point for the grueling route to Lake of the Condors. Leaving early, adventurers can ride or walk from Leymebamba following a stone trail heading for “The Hidden Pearl”. Heading up in to the mountains we cross ridges and high grassland plains before making a long descent down towards the Laguna. The scenery is simply indescribable and the demanding walk of 8 hours is made easier by the breathtaking views of the whole route. In the afternoon you will arrive to the refuge that is just a few minutes walk from a panoramic view of the lake. Today is the central day. After a good breakfast you will start a trek north of the Lake of the Condors admiring its beauty from different angles. You will cross the lake along a fallen tree and then climb the vertical mountain full of vegetation where you will find some tombs hidden beneath a huge rock which has allowed their preservation for centuries. The mausoleums of the Lake of the Condors are considered a sacred place where the ancient peruvians placed their more important dead high officials. Here you will stop to explore the archaeological remains and have a box lunch. In the afternoon we will return to the lodge for a second night. You will ride back to the village of Leymebamba. On the way back you will have a box lunch and will arrive at Leymebamba in the afternoon. 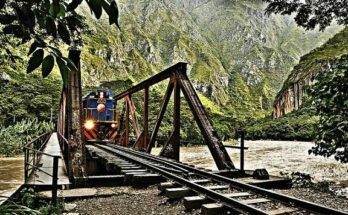 From here you will continue by private car to Chachapoyas. The hotel will be perfect to take a hot shower and refuel your energy. All transfers between airports, hotels, tours and any other activity mentioned in the program.